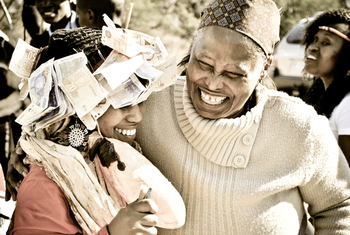 South Africa Lotto has been around for almost 20 years and in that time has developed an incredible following in a country that absolutely adores lotteries. With a ticket cost that is very easy on the wallet and jackpots that start at a guaranteed R2,000,000 (€129,000) and quickly grow into some respectable amounts, this is a lottery that’s definitely worth taking a close look at. South Africa Lotto was introduced to the public by then President Thabo Mbeki, who also bought the first official ticket, on March 2, 2000. It quickly gained an immense following and soon was played by millions of people across the country—and eventually several neighbouring countries too. Management of the lottery has changed hands several times in the years since, with Uthingo Management being the first, followed by Gidani in July 2006, and Ithuba Holdings Limited in 2015. The latter company is still its operator to this day. During its first 1.5 years, draws took place only on Saturdays, but in October 2001 a Wednesday draw was also introduced. A supplementary game called Lotto Plus 1 was introduced in November 2003, and another one called Lotto Plus 2 was added in August 2017. These games give players second and third chances to win with the same set of numbers they play in the main draw. About a third of the proceeds this lottery makes go to various projects, causes, and charities around the country. SA Lotto uses a straightforward single-matrix format comprising a range of numbers from 1 to 52. 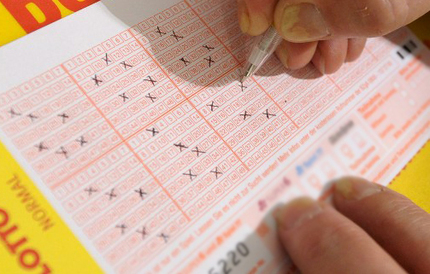 To win the jackpot, players must match all 6 numbers that are drawn. There is also a bonus number that’s drawn from the same pool, but this number only determines who wins the second, fourth, sixth, and eighth prize. There is no cap on rollovers or jackpots, meaning the South Africa Lotto jackpots can keep growing in size indefinitely until someone emerges a winner. There are also two supplementary games, Lotto Plus 1 and Lotto Plus 2, that can be played for a small additional fee. These games are separate draws that are held immediately after the main draw and allow you to win slightly smaller but still excellent prizes using the same numbers you chose for the primary draw. In order to play Lotto Plus 1, you have to purchase a ticket for the main SA Lotto draw, and in order to play Lotto Plus 2, you have to purchase a ticket for Lotto Plus 1. The odds and mechanics of these supplementary games are identical to the main game. The price of a South Africa Lotto ticket within South Africa is only R5 (€0.32), and each entry into Lotto Plus 1 and Lotto Plus 2 is just R2.50 (€0.16). At these prices, stocking up on tickets is an inexpensive way to greatly boost your chances of winning. The odds of winning South Africa Lotto, especially considering its jackpots don’t reach mind-boggling levels, aren’t that great: 1 in 20,358,520. There are other lotteries that offer much bigger jackpots and secondary prizes at better odds. Two that come to mind are Canada Lotto 6/49 (1 in 13,983,816) and Austria Lotto (1 in 8,415,060). However, the price of a ticket for these lotteries won’t be anywhere as cheap South Africa Lotto. In fact, you could buy an entry ticket to the main draw and the Lotto Plus 1 and Lotto Plus 2 draws for considerably less than what a single play for these other lotteries would cost! In addition, the overall odds of winning some sort of prize in SA Lotto are 1 in 38. If we’re going to compare apples to apples, however, then both Polish Lotto (1 in 13,983,816) and Hungary Hatoslottó (1 in 8,145,060) feature similar prizes and ticket prices and better odds. But, then again, neither will give you a second and third chance to win like the Lotto Plus 1 and 2 draws do! South Africa Lotto, Lotto Plus 1, and Lotto Plus 2 draws take place twice each week, on Wednesday and Saturday nights at 8:56 pm SAST in Johannesburg. The last chance to buy tickets in person at a lottery kiosk is 8:30 pm SAST, but if you’re buying your tickets online through a third-party service, the cut-off time is usually a few hours before that. The only way to collect your winnings from this lottery is via a lump-sum cash payment, which is certainly nothing to complain about. Considering the jackpots aren’t that big, at least when compared to other international lotteries, it wouldn’t make much sense for South Africa Lotto to even offer an annuity option. One of the great things about South Africa Lotto, and all South African lotteries in general, is that they are never taxed by the country’s government. However, we recommend you check if your country’s government taxes lottery wins, as every country has its own policy. Because it’s so popular among many African countries and even beyond, it’s fairly easy to find a great lottery site that will let you play SA Lotto online. Though such online lottery sites charge a small fee for their services, they are significantly cheaper than the alternative: flying to South Africa to buy tickets in person! Plus, these sites offer many great features that can increase your chances of winning. South Africa Lotto – Is It Worth Playing? Although the jackpots and odds of South Africa Lotto aren’t the greatest, the extremely low cost of tickets for the main draw and Lotto Plus 1 and Lotto Plus 2 draws more than makes up for it. As a result of how affordable it is to buy many entries and therefore drastically increase your overall chances of winning, this is a lottery that has a lot to offer players both within and beyond South Africa’s borders. I know SA Lotto does not have the best of odds, but the ticket price is very very good, better than most other lotteries in fact. So I still play it regularly. €10 gets you ALOT of chances to win.